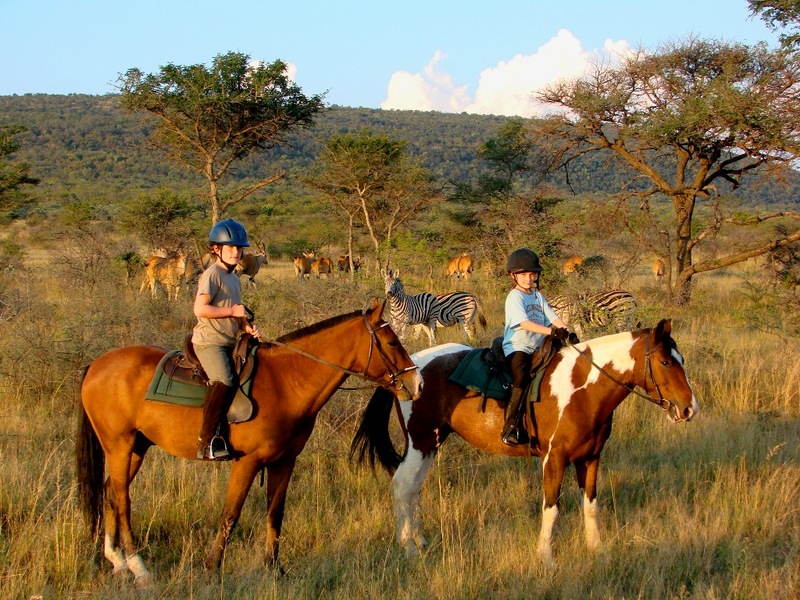 Many of Africa’s most famous riding safaris cater for experienced riders aged 16 and over, but for families wishing to travel with younger children, there’s still plenty of choice – and excitement. Here’s our pick of the best African family riding holiday for those under and over 14, and adult beginner riders. 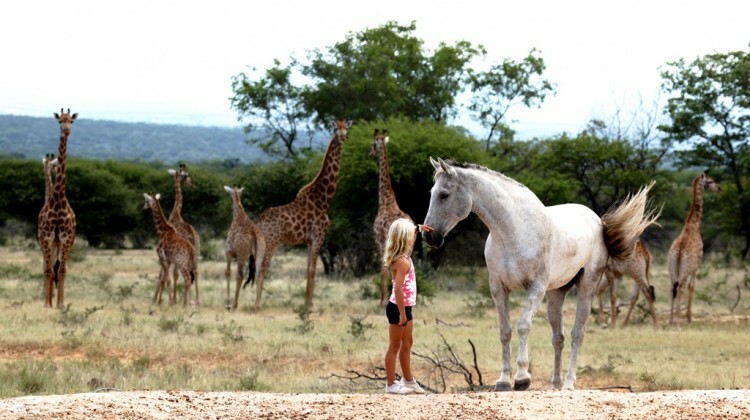 This privately owned game reserve is just a four hour drive north of Johannesburg in the Malaria free Waterberg region. No predators means safe riding, and with a large string of horses, Ants can cater for both beginners and advanced riders alike. As the horses live out with the safari wildlife they are really used to the local game and you can get closer to the animals than in most other areas. 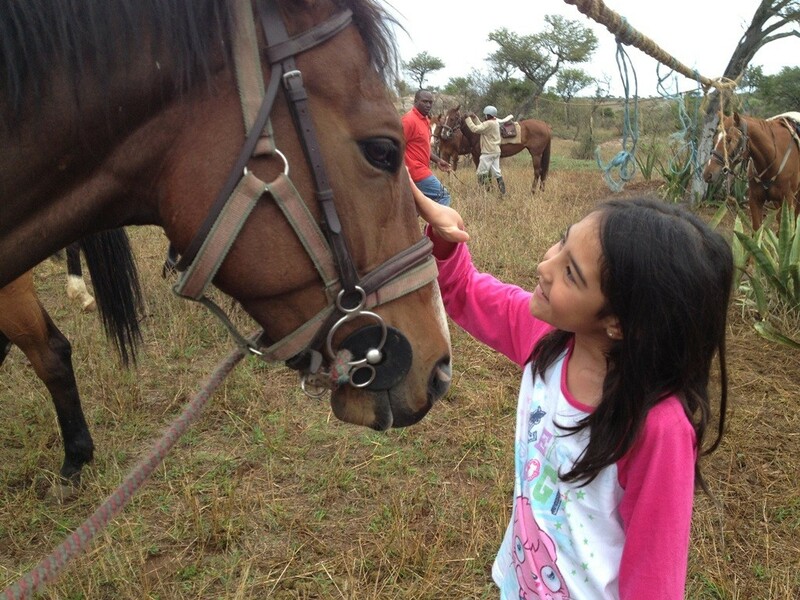 Set on a privately owned reserve in the shadows of Mount Kenya, Borana has a wide variety of horses suitable for all standard of rider, and all ages too! 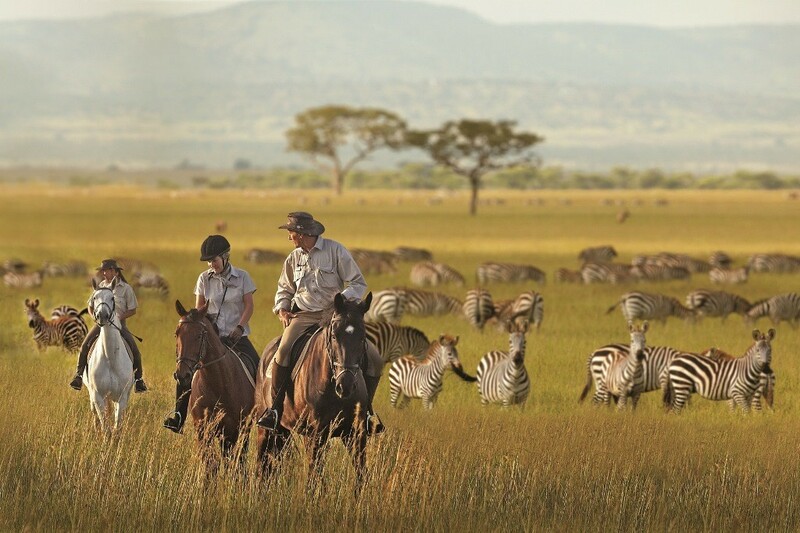 Safari days are tailored to suit each family’s requirements, from swimming in the pool or a waterfall, to riding on one of their safe steeds or watching wonderful wildlife from a Land Rover. 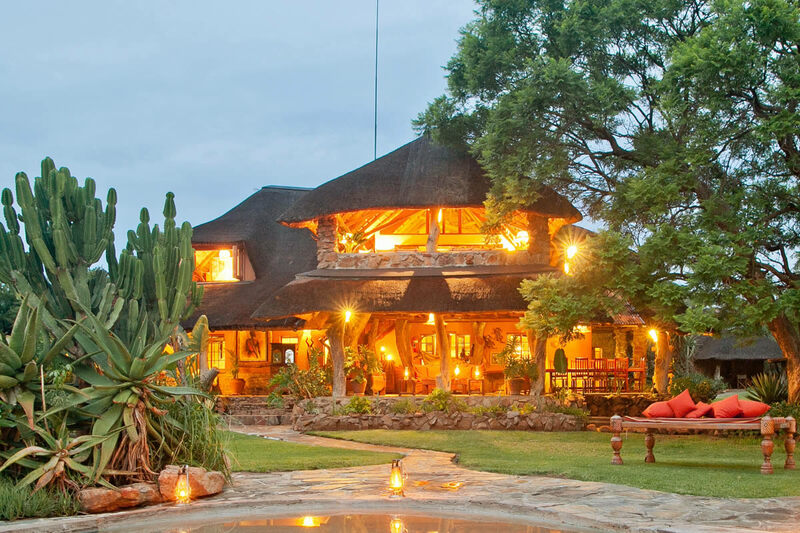 Tswalu is a luxury lodge located on a malaria free private reserve on the edge of the Kalahari Desert in South Africa. Tswalu love taking children on riding safaris, and they even create a special pony camp in the stables for anyone who wants to fully immerse themselves in the horsey side of things. Meerkats can also be seen here; they are semi habituated so children can get up close and personal with them. 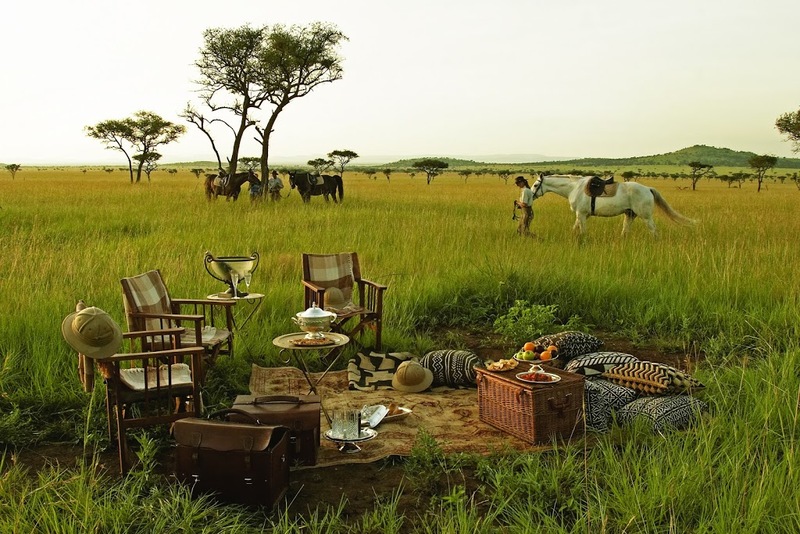 Set in the pristine wilderness of one of Kenya’s biggest conservation success stories, Lewa Wilderness is a beautiful family home and the perfect setting for a family safari holiday. 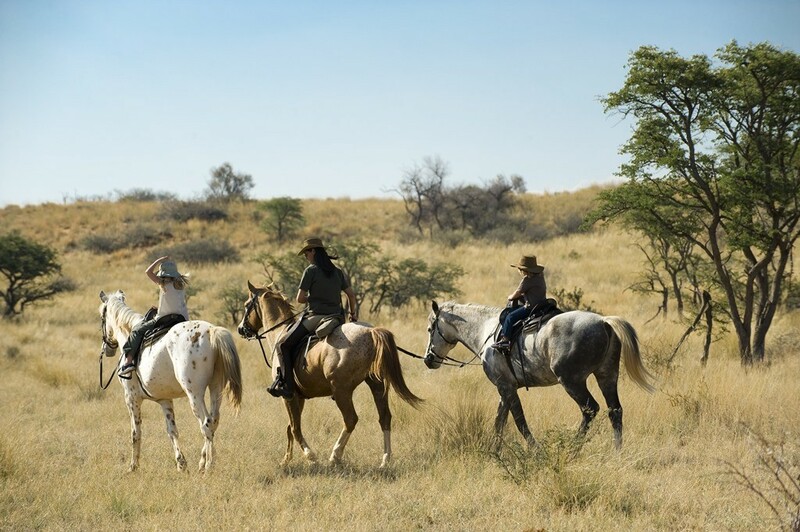 Riding is one of the many activities on offer here, and exploring the bush on horseback is a lovely way to view the fantastic wildlife. Short rides can be arranged for novices and younger jockeys, while longer, more exciting, rides can be arranged for more experienced riders. Kurland is a beautiful country hotel close to the lovely seaside town of Plettenberg Bay in South Africa’s Cape region. It offers the ultimate in family holidays with everything from child friendly rooms and private playrooms, to special children’s menu and babysitting. 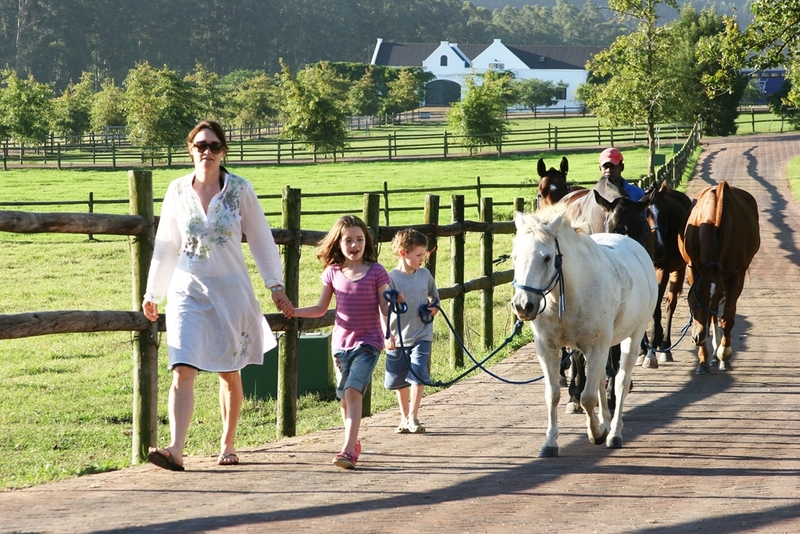 For families with riders, young children can be taken on Shetland pony rides, while older children can have riding and polo lessons. Quad biking to watch a polo match on the estate’s polo fields – complete with a delicious picnic – is a lovely way to while away an afternoon here. 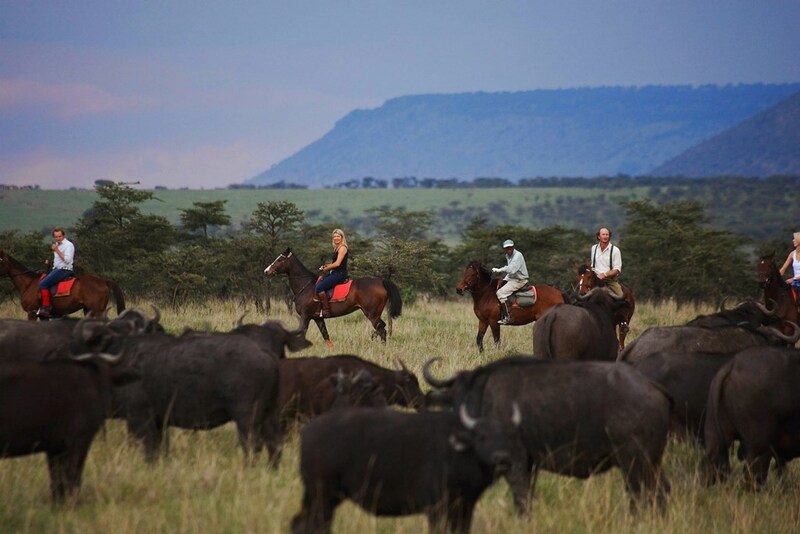 Owned by the fantastic riding safari guide Gordie Church, Safaris Unlimited runs fun and exhilarating riding holidays through the incredible wildlife filled plains of the Masai Mara as well as other beautiful areas of Kenya. 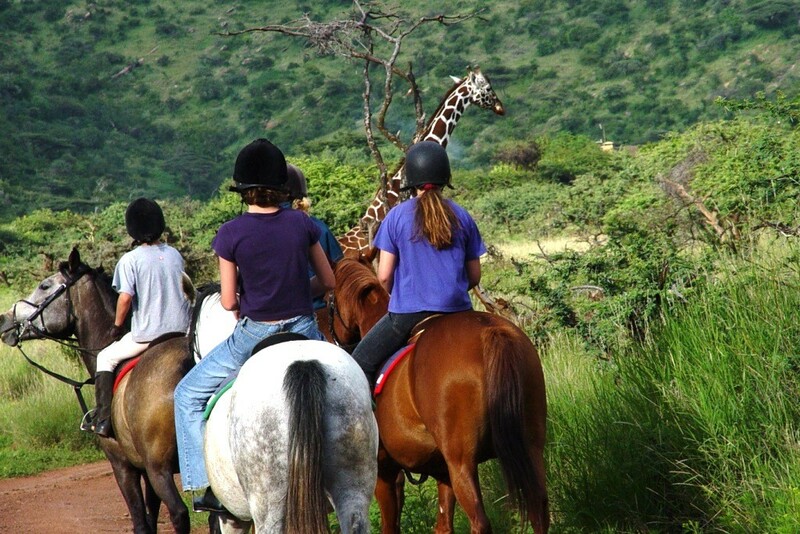 Since most of the riding holidays here are privately tailored it’s a great choice for families looking for an African riding safari. 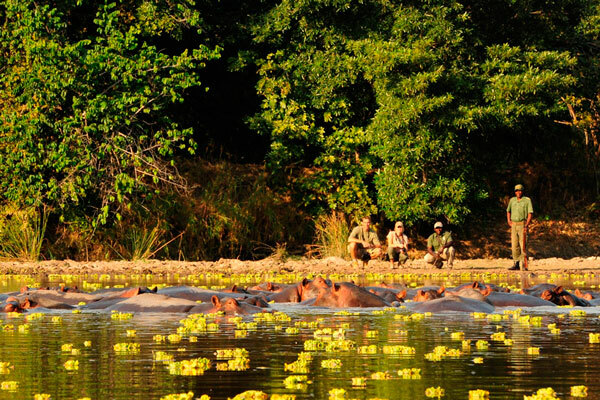 Gordie guides, the wildlife is astonishing, accommodation is great and the food wonderful. 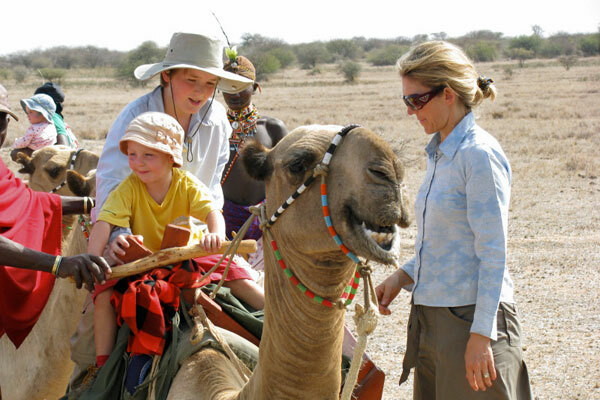 A great pick for the ultimate family riding safari. 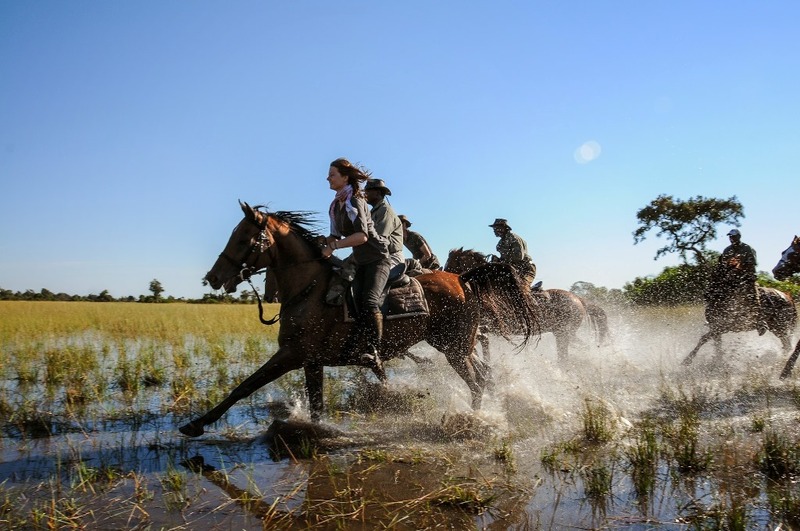 From swimming your horse through the waters of Botswana’s Okavango Delta and eating pizza made in an ant’s hill, to playing giant Jenga at night, there’s never a dull moment on a riding holiday at African Horseback Safaris. In addition to riding you can also explore the area and its wildlife by foot, on a vehicle and by boat. This riding outfit has know closed but the Singita Grumeti camp is still open to guests for safari. Please contact us for alternatives. 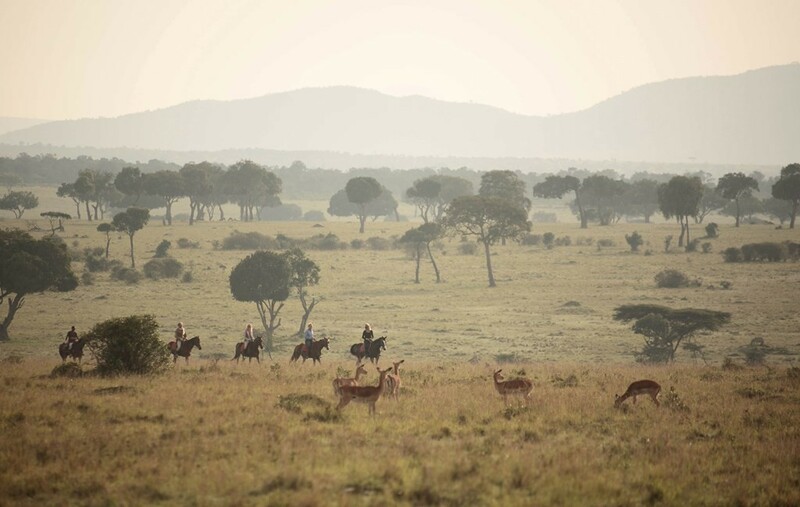 Singita Grumeti is probably the most luxurious and exclusive mobile riding safari in the whole of Africa. 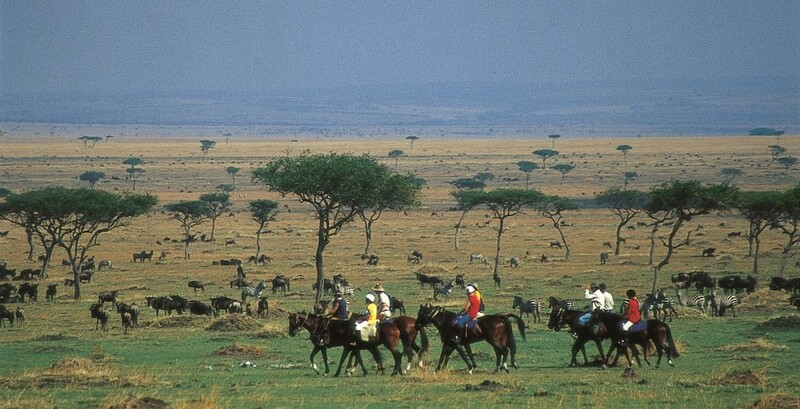 The riding is in a private concession area of Tanzania’s famous Serengeti National Park, open only to guests of Singita Grumeti. Aside from excellent wildlife, there’s also the chance – between June and October – to ride with the wildebeest migration which is arguably the most exciting thing you can do on horseback. 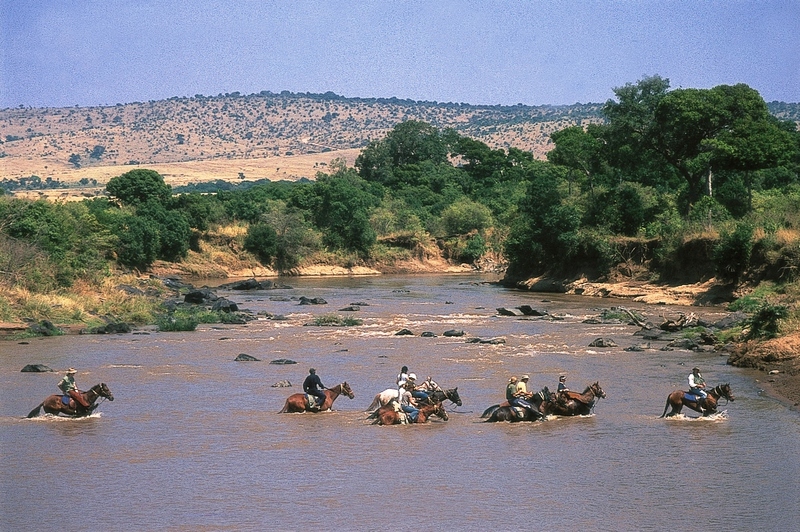 Offbeat Riding Safaris offer a wonderfully varied range of safari activities and will put together great trips for those travelling with a mix of riders and non-riders. 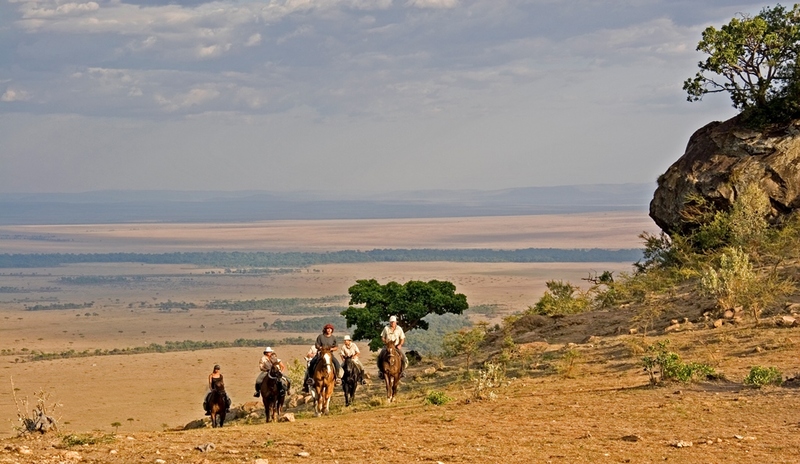 The riders can experience the exhilaration of riding on wonderful horses through the Masai Mara, one of Africa’s premier wildlife areas, while the non-riders can enjoy the same wildlife exploring on foot or by safari vehicle. A great way to keep everyone happy and experience the holiday of a lifetime. 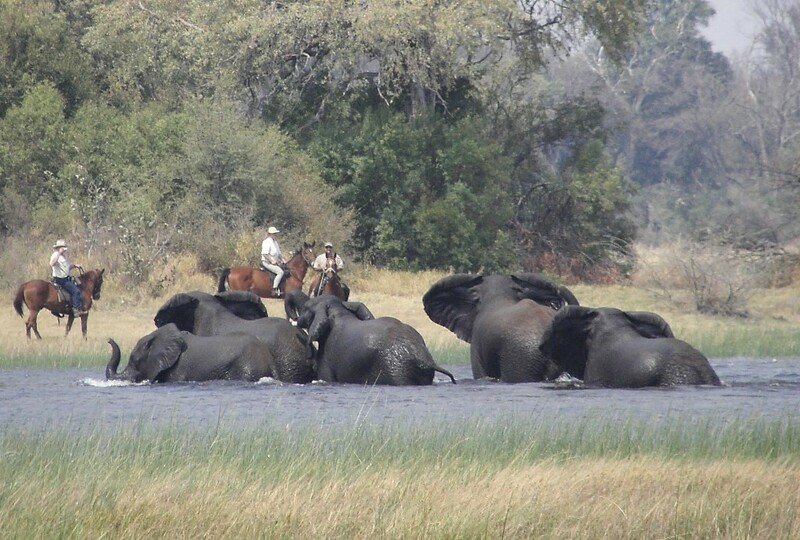 Riding safaris here move between permanent luxury tented camps and more rustic fly camps so you get to see as much of the vast Okavango Delta as possible. There’s no WiFi or phone reception, so teenagers are forced to relish the local surroundings! 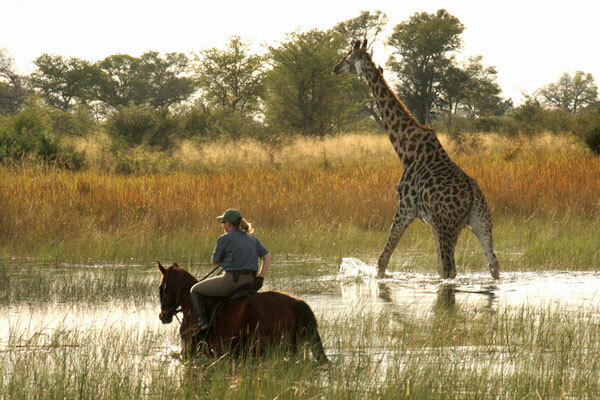 Among the many riding highlights are long canters alongside giraffe on the floodplains and swimming the horses through the Delta. When your bottom tires, you can explore by vehicle, on foot, by boat or even drop a line in the hope of catching a fish. 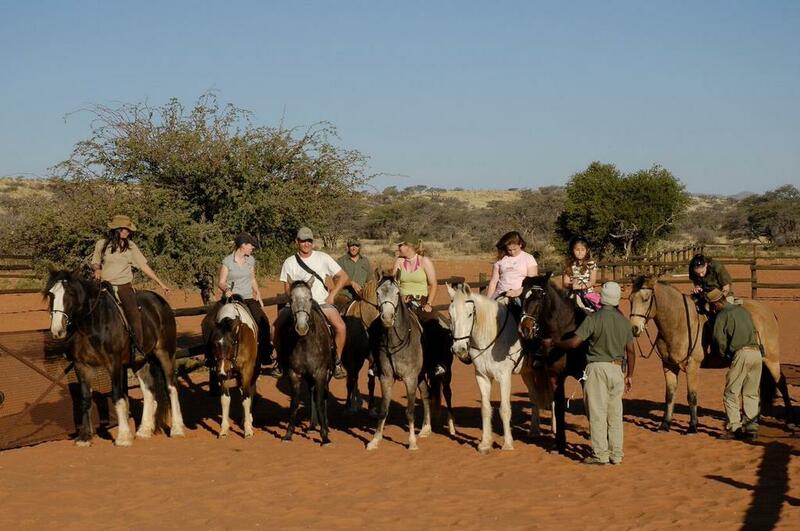 With our expert knowledge of top class horses and guides, we can arrange a family riding safari to suit all levels of ability. Please contact Aardvark Safaris.